From storybooks to steampunk, Abilene’s literary legacy is its diversity that includes some of Texas’s strongest journalist-authors; a long-running regional book festival; a university press; and a vibrant historic downtown with museums, galleries, library, book and gift stores. In December 1993, Abilene’s then mayor, Dr. Gary McCaleb, was invited to a local elementary school to read author-illustrator William Joyce’s Santa Calls. Inspired to learn that Joyce had set his story in his own city, McCaleb invited the author to speak at the Abilene Cultural Affairs Council luncheon. From this occasion originated the concept of a place that would honor the artwork of children’s picture book illustrators. Visit Abilene, the Storybook Capital of Texas! STORYBOOK SCULPTURESVisit Abilene, the Storybook Capital of Texas! STORYBOOK CAPITALVisit Abilene, the Storybook Capital of Texas! FRONTIER TEXASVisit Abilene, the Storybook Capital of Texas! ABILENE ZOOVisit Abilene, the Storybook Capital of Texas! SCULPTURE GARDENVisit Abilene, the Storybook Capital of Texas! THE MAN IN THE MOONVisit Abilene, the Storybook Capital of Texas! Four years later that propitious meeting, Abilene built a museum that was the first of its kind in the nation called the National Center for Children’s Illustrated Literature (NCCIL). In March 1997 the “Nickel,” as locals call it, opened its doors. Two years later, a statue depicting the children from Santa Calls, “Childhood‘s Great Adventure” by Rick Jackson, was erected downtown, and the following year the beautifully renovated circa-1920s Rhodes Building opened as a home for the center. Last year the NCCIL celebrated its twentieth anniversary with a year chock-full of special activities. During the past two decades, the Nickel has featured the works of award-winning children's books illustrators and authors such as Dr. Seuss; Berenstain Bears authors Stan, Jan, and Michael Berenstain; and David Shannon. The center houses more than 150 pieces of original illustration. The museum collaborates with award-winning artists to produce exhibitions of their artwork that are distinctive and appealing to visitors of all ages. In addition to this unique artistic partnership, following its debut at the NCCIL gallery, each exhibition travels to museums, public libraries, and galleries nationwide. 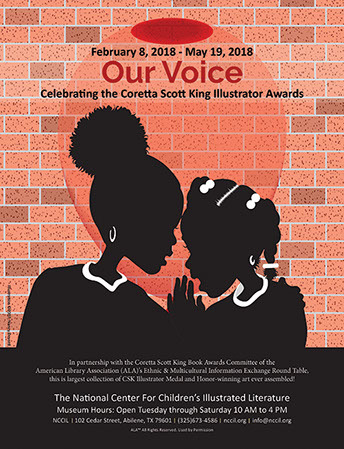 Each June the Children’s Art & Literacy Festival (CALF) rocks the town in a downtown-wide event featuring the nationally recognized children’s illustrator exhibiting that summer at the NCCIL, with events are based on the work of the featured CALF illustrator. CALF showcases children’s books through a parade, costume contests, readings, talks, and crafts, and each year new sculptures are dedicated. In 2018, CALF celebrates the work of award-winning illustrator Oliver Jeffers. Abilene’s three-dimensional depictions of beloved characters didn’t stop with that first Santa statue. Over the years, more than twenty-four outdoor statues that celebrate children’s literature have been commissioned and installed, including six bronze sculptures of beloved Dr. Seuss characters created by renowned artist Leo Rijn (Abilene is one of only a few cities in the nation to permanently exhibit these six iconic sculptures). In 2016 Abilene undertook to illuminate them all, providing a welcome to visitors night and day. By now, tens of thousands of visitors have come to see these works, and today Abilene’s Storybook Sculpture Project is thought to be the largest public collection of storybook sculptures in any city. 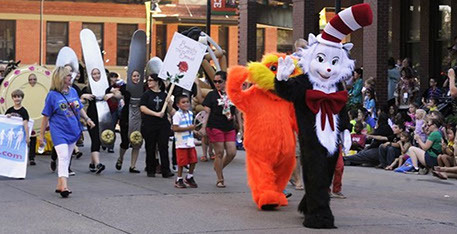 Recognizing Abilene’s ongoing commitment to the theme of children’s literature, in 2015 the 84th Texas legislature proclaimed the city the official Storybook Capital of Texas. The city’s Storybook Sculptures Audio Tour iPhone app brings an exciting new dimension to the storybook experience. The free tour allows visitors to listen to readings associated with the sculptures as they travel along the route. For tweens, teens and even adults who prefer a little edge with their literature, the fifth annual Lib-Con, sponsored by the Abilene Public Library, is slated for April 25–28, 2018. The four-day celebration of comics, manga, cosplay, anime, movies, and fandom takes place at three library locations: the main library downtown at 202 Cedar Street; the South branch at the Mall of Abilene at 4310 Buffalo Gap Road. ; and the Mockingbird branch at 1326 N. Mockingbird Lane. Added to Abilene’s range of public library services in 2016 was a new South Branch Library located at the Mall of Abilene, funded with $1.5 million raised by the Friends of the Library in a partnership with the city. Even within its first year, the South branch reported logging more than three times the activity of its previous location. Monk’s Coffee Shop on Abilene’s Cypress Street welcomes a creative crowd as they host open mic nights every Thursday for spoken word and singer-songwriter enthusiasts. Monk’s supports arts of all stripes, with local paintings and drawings adorning their walls, and special open mic nights held in conjunction with Abilene’s monthly Art Walk of galleries, museums, and studios. Event opportunities abound in Abilene. The elegant, 55,000-square-foot, five-story Grace Museum, located in a former 1909 hotel at 102 Cypress St., occasionally hosts poetry workshops and literary experiences for visitors of all ages. Hardin-Simmons University is home to the Lawrence Clayton Poets & Writers Speaker Series presented by the McIntyre-West Endowment of the Hardin-Simmons University Academic Foundation. In some years, the Black Chamber of Commerce in Abilene has hosted an annual poetry slam, as has the Abilene Christian University Language and Literature department. Frontier Texas tells the story of the region in multimedia form. Drawing from history and texts of West Texas’s Native American, ranching, and settlement roots, the museum brings the Old West to life with the help of state-of-the-art technology. Frontier Texas also serves as the official visitor center for Abilene and the Texas Forts Trail Region, and it has an excellent bookstore onsite to boot. For the popular West Texas Book Festival, sponsored by the Friends of the Abilene Public Library for the past seventeen years, 2018 will be a transition year. Longtime chairman Glenn Dromgoole stepped down after seventeen years at the helm of a multi-day extravaganza that featured some of the state’s favorite authors in a variety of genres, held at the Abilene Public Library and other venues around town. The Friends group, which will oversee the Festival going forward, will evaluate next steps and plans to return with a new West Texas Book Festival in 2019. Fans will be glad that one of the festival’s spotlight soirée, the Cookbook Gala will continue this year. As the featured fundraiser of the West Texas Book Festival, this black-tie event hosted at the Abilene Country Club, will showcase cookbook authors/chefs along with Texas vintners, including a delicious meal on Thursday, Sept. 22, 2018. 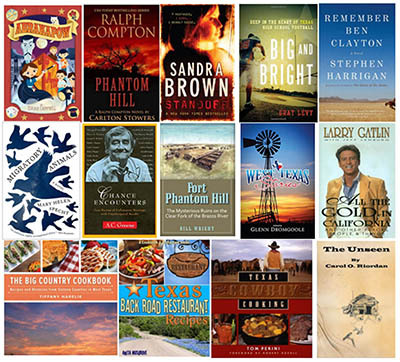 Visit the Texas Cookbook Gala Page for additional information at www.abilenetx.com/apl/bookfest. In the spring, from March through May, the Friends also hosts a monthly author series of leading Texas authors talking about their books. Throughout its first seventeen years, the West Texas Book Festival annually presented the A. C. Greene Award to a distinguished Texas author for lifetime achievement. Native Abilenean A. C. Greene (1923–2002) (), known as the Dean of Texas Letters, was a columnist and editor for the Abilene Reporter-News, the Dallas Times Herald, and the Dallas Morning News who also earned fame as author, teacher, bookstore owner, musician, poet, and radio and television talk show host. 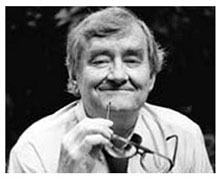 Greene is best known for his numerous books and articles, both fiction and nonfiction, about or set in Texas—and for his early bibliography of de rigeur Lone Star reading, Fifty Best Texas Books. Another pair of Reporter-News veterans, Glenn Dromgoole and Carlton Stowers, picked up Greene’s mantle again with 101 Essential Texas Books (ACU Press, 2014). Stowers, a 1960 Abilene High School graduate who also served as longtime Dallas Cowboys beat writer for the Dallas Morning News, is most noted for his true-crime books; he is a member of the Texas Institute of Letters and the Texas Literary Hall of Fame and also a recipient of the A. C. Greene Award. Dromgoole writes the syndicated book column "Texas Reads" for this publication and several Texas daily newspapers and is the author of twenty-seven books and counting. With his wife, Carol, Dromgoole has since 2004 run the Texas Star Trading Company, an independent bookstore and gift shop they playfully dub the National Store of Texas. You can’t miss its storefront on historic Cypress Street, where the Lone Star flags fly gracefully in the West Texas breeze. 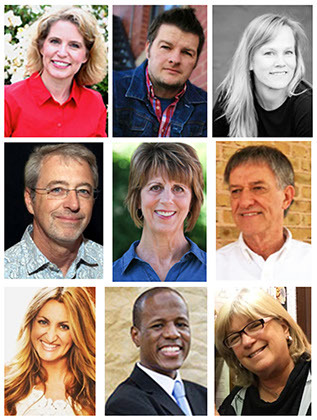 ABILENE AUTHORS Authors (left) associated with Abilene include, from top left: Karen Witemeyer, Isaiah Campbell, Mary Helen Specht, Jay Moore, Penny Klostermann, Glenn Dromgoole, Tiffany Harelik, Steven Moore, Carol O. Riordan, Joe Specht, Al Pickett, and Sandip Malthur. ABILENE AUTHORS Authors (left) associated with Abilene include, from top left: Karen Witemeyer, Isaiah Campbell, Mary Helen Specht, Jay Moore, Penny Klostermann, Glenn Dromgoole, Tiffany Harelik, Steven Moore, Carol O. Riordan. Abilene Christian University Press, the publishing arm of one of Abilene’s three religious denominational universities (the others are McMurry and Hardin-Simmons), produces books about Texas culture and history as well as theological volumes and textbooks. ACU Press has kept the stories of its home city alive with Glenn Dromgoole and Jay Moore’s Abilene A to Z (2015), Moore’s Abilene in Plain Sight (2014) and Dromgoole, Moore, and Joe Specht’s Abilene Stories: From Then to Now (2013). At H. V. Chapman and Sons (right) on North 3rd Street, Tim de la Vega and his team of about a dozen carry on the family tradition of book and Bible binding and conservation begun here by Stan Chapman in 1947. De la Vega, himself a product of a multi-generational printing family, feels called to this work like a mission -- and his staff share that passion for books. Though they have integrated digital and offset printing into the mix these days and, according to business development manager Jody Rood, are looking to grow and fine-tune their operations, the firm earns its loyal following through the ancient craft of the book bindery. Here is the domain of the letterpress, the stamping foil, the book press, and all the arcane tools thereof. Besides its business serving local organizations with custom print runs and stamping the Bibles used in the state capitol, HVC bound some 25,000 books last year the old-school way. Stop by and say hello — HVC's current location is a fine example of historic preservation and adaptive reuse, and the old building's a veritable museum and archive as well. No visit to the Abilene area is complete without a visit to historic Buffalo Gap Village and a culinary destination of statewide merit—Perini Ranch Steakhouse, where you can pick up a copy of the illustrated Texas Cowboy Cooking to try some of steakmaster Tom Perini’s mouth-watering recipes long after you’ve returned home. The Perini Ranch also sports two guesthouses on the property with a peaceful and tranquil setting in the middle of the wooded ranch land—a great venue for a writer’s—or reader’s retreat. If you’re driving into Abilene from the west — especially if you’ve worked up a thirst — check out Argos Brewhouse & Bookseller in Sweetwater 41 miles away or about half hour’s drive on I-20. This new spot on Sweetwater’s downtown square (since September 2017) puts the “mix” into mixed-use facility with custom libations and coffee; an open mic night which encourages music, comedy, and poetry; and of course, they feature books, lots of them. 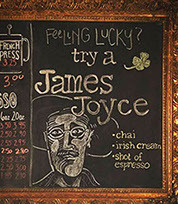 Its heritage is distinctively literary: the three local owners named their establishment after Ulysses’ dog in the Odyssey. The mission of Argos is to serve the community, holding downtown church gatherings there with a regular fellowship. If you’re approaching the Key City from the east, check out the small town of Cross Plains, some 44 miles away, home of pulp fiction author Robert E. Howard Master of a diverse range of genres, Howard is best known for his character Conan the Barbarian and is regarded as the father of the sword-and-sorcery subgenre. Professionally, he also wrote as a journalist for United Press International. works, the home in which Howard lived and worked has been restored and furnished to reflect its mood and spirit of the environment as closely as possible. A few items that were used by the Howards have been returned to the house to be permanently displayed in their original positions. Each June, Project Pride, the local organization that oversees the Robert E. Howard Museum, the Robert E. Howard United Press Association, and the Robert E. Howard Foundation, sponsor a two-day celebration of the writings of Howard Days will take place June 8 and 9, 2018, featuring a Barbarian parade, tours of the Howard home and museum; special viewings of original typescripts; Howard panels and scholars; collectors and dealers; Barbarian cosplay; Barbarian festival; open mics; and prose and poetry readings. The city’s Convention and Visitor Bureau can help you plan your visit to the area, with excellent lodging, dining, and recreation recommendations. Find them at www.abilenevisitors.com. Or, as they say on the Abilene CVB website, visit Abilene and know you’ll live happily ever after.